My wife and I are busy making cakes for the twins first birthday tomorrow. I can’t believe it has been a year already, and what a busy year! We’ve had plenty of highs and lows and are loving every minute. 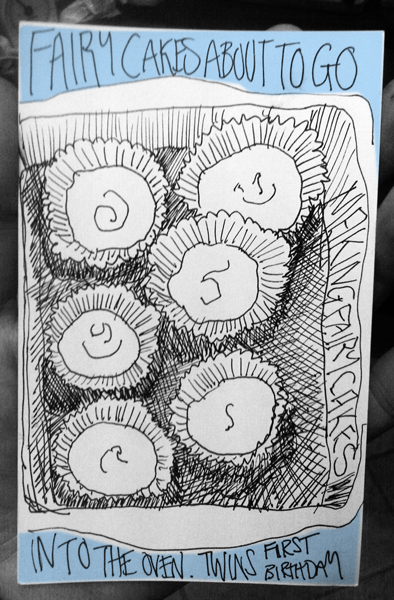 So a celebration tomorrow and while Joanne decorates the main cake these are my fairy cakes about to go in the oven. Don’t worry those who are coming tomorrow, there are more than this! Black pen freehand with blue colouring added on the laptop.